It's possible to glow all year round, without actually damaging your skin! Summer doesn’t last forever, but there’s a simple way for natural beauty lovers to get a sun-kissed, bronze shimmer as the seasons change. With a shimmering body oil made from natural ingredients, you can get a full body glow no matter what time of year, without having to worry about harming your skin. What’s a shimmering body oil? Shimmering body oil is a full-body, bronzing product that delivers adjustable color and glow to the skin. Natural bronzing oils are colored using healthy, fruit or mineral pigments rather than hazardous synthetic dyes. They also contain essential oils and other plant extracts to deeply nourish your skin, achieving the deepest, healthiest glow possible. 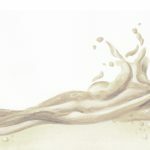 The best natural body oils won’t use plastic glitter or other harsh ingredients to liven up your skin. Instead, they use reflective minerals like mica and quartz to give your skin a soft, golden shimmer. Using conventional tanning oils increases your risk of malignant melanoma, the most dangerous form of skin cancer. It also increases the severity of skin aging. The truth is that our cultural idea of a “healthy tan” is little more than a myth. But luckily, we don’t need to overexpose ourselves to harmful radiation in order to get the look. Shimmering body oil does not require sun exposure in order to be effective, so there’s no need to worry about skin damage from the sun. Self-tanners have become increasingly popular. However, these products use dihydroxyacetone (or DHA), which has a chemical reaction to the dead skin cells on the top layer of your skin, causing a change in color. While DHA is usually derived from plant sources, it’s not entirely clear that this ingredient is safe to use. 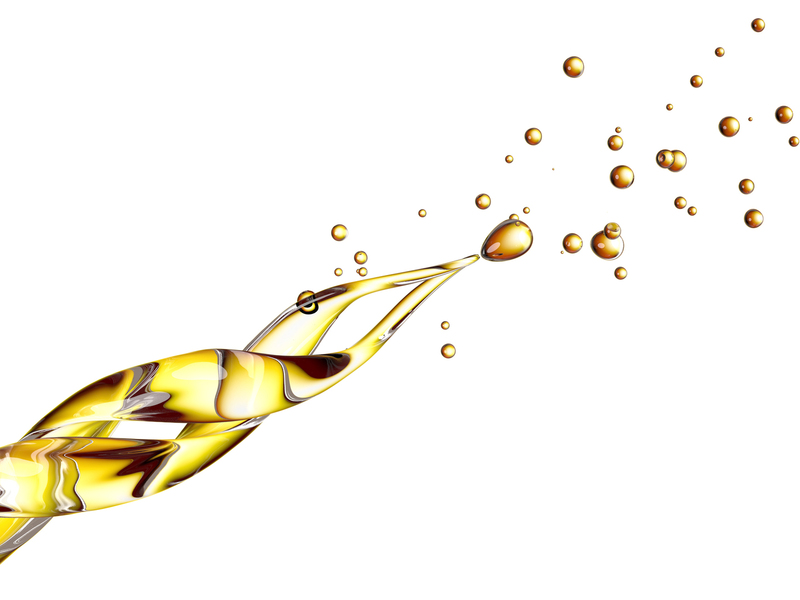 In contrast to self-tanners, the best shimmering body oil doesn’t contain any DHA. It works as an all-over bronzer instead of a semi-permanent tanner, so you have more control over how long your golden glow will last. Shimmering body oil is most comparable to a body bronzer, but these two products still have key differences. A shimmering body oil will have a lighter texture compared to a bronzer, and will look more natural when applied to the skin. Meanwhile, while most bronzers will simply create a layer of color over your skin, bronzing oils add a touch of shimmer for gently glowing skin. Unlike conventional self-tanners and bronzing lotions, this shimmering oil is extremely beneficial for the skin. It’s colored with fruit pigments, and it uses mica to lend the skin the perfect golden glow, so you don’t have to worry about any harmful chemical dyes or plastics. Meanwhile, this product goes above and beyond the call of duty to nourish your skin with antioxidant-rich ingredients such as pomegranate seed oil, cocoa bean, and acai berry fruit oil. This product has over 100 five-star reviews, and comes in two different shades to suit different skin tones. This luminizing body oil is designed to deeply moisturize your skin while imparting a soft, sheer radiance. It’s free of filler ingredients, fragrances, synthetic preservatives, and it absorbs quickly into your skin without leaving a greasy residue. Its moisturizing ingredients include jojoba seed oil, shea butter, and coconut oil, and its shimmer comes largely from mica. This sheer, shimmering oil is compatible with any skin tone, and can even be used on the ends of your hair to condition and lend a touch of shimmer. It’s extremely lightweight, and is formulated to moisturize and protect the skin using hydrating coconut oil, plumping silica, and restorative vitamin E. It achieves its subtle shimmer using a combination of mica and iron oxides. This lightweight and non-greasy oil glides on smoothly and absorbs quickly, making it convenient for daytime wear. It imparts maximum, deep bronze shimmer with a combination of mica, iron oxides, and titanium dioxide. Meanwhile, it hydrates the skin using a combination of grapeseed oil and coconut oil, and clarifies and soothes using evening primrose oil. We reached out to Frank Body and confirmed that they do not use any synthetic fragrances. This sheer, shimmering oil is designed to give any skin tone an otherworldly, pearlescent glow. It achieves its shimmering effect using mica and titanium dioxide, and it moisturizes the skin for a deep, healthy glow using argan oil, coconut oil, and sustainably harvested palm kernel oil. This product is a great option for achieving year-round, glowing skin without going for an all-out tan. We love the way it’s subtly scented using essential oils. This body oil imparts a healthy-looking, golden glow to the skin, and is designed to complement any skin tone. It moisturizes the skin using grapeseed oil, olive oil, and a combination of fruit oils—which add a natural summery fragrance to the formula. Meanwhile, this oil achieves its shimmer using mica, iron oxide, and titanium dioxide. It lightly pigments the skin using annatto, a plant-derived dye that’s generally considered safe for both topical use and ingestion. Not only is the packaging for this product unbelievably beautiful; the shimmery, star-kissed glow it gives your skin will also be eye-catching! This product perfumes and hydrates the skin using a combination of natural, plant-derived ingredients—including sweet almond oil and organic coconut extract—so it’ll smell and feel liks tropical paradise! You can use shimmering body oil all over your body. Just apply it to clean, dry skin and gently massage to help it sink in. You can layer it to adjust the concentration of color and shimmer, or even combine it with your regular body lotion to dilute its effects. Many of the pigmented oils we’ve listed above can also be patted into the skin just below the cheekbones to deliver a bronze glow to the face. The sheer oils on the list can be used directly on the cheekbones and any other desired areas of the face. 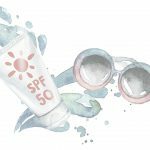 It’s always important to protect your skin from the sun’s rays, so we recommend following up with a natural sunscreen after you’ve applied your body oil. If you’re looking for a safe product that will help you to achieve a year-round golden glow, shimmering body oil is definitely the way to go. It’s a conveniently versatile and low-maintenance product that can take your skin care regimen to the next level.